Trash into treasure - Waste outperforms gold! It’s a roller coaster week this week for me. I’m having a bit of a crisis of faith over the whole recycling issue, but this article, via Recycle.co.uk and reported by Lucy Rees, gives us a glimmer of hope. “One of the more unlikely sectors to be fuelling the economic recovery is the rubbish recycling industry, which has seen prices doubling since late last year – outperforming many traditional commodities. Waste paper and plastics prices have risen dramatically since crashing last year. By November of 2008, prices were as low as £19 per tonne, but by this month, cardboard prices rose to £59 per tonne, above the average of £53 per tonne for the 2004-2008 period. 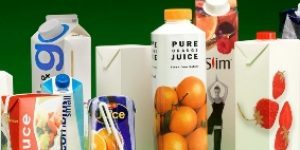 Rising at a rate nearly matching paper, PET plastic, which is used for drinks bottles, has seen prices more than double – from November’s £75 per tonne to £195 per tonne recently – and well above the 2004-2008 average price of £156 per tonne. By way of comparison, the price of crude oil has only increased by 16 per cent and the price of gold by 14 per cent. The FTSE 100 showed an increase of less than two per cent in the last six months. With the government’s landfill tax that favours recycling, it is not surprising that Nigel Aitchison of venture capitalist group Foresight, considers waste management as a “timely place” for investment. Currently, the UK recycling sector is valued at £12 billion, and is expected to expand to between £20 billion and £30 billion by 2025, according to the Waste and Resources Action Programme. Recycling is an industry which will continue to grow as the range of materials involved increases. There is still a long way to go in development. WRAP has a positive outlook, partly to justify itself, but incineration is one area where they lag behind in environmental concerns. WRAP is pushing out in many sectors including the wine bottle issue, where imported brown/green bottles used. UK production cannot use all this waste glass. They are importing bulk wine to deal with this problem which shows an ability to adapt thinking. Plastic bottle recycling is not 100% so promoting refillable systems, like Ecover liquids, has value since the number of plastic bottles used is drastically cut. Hi John, I agree that promotion of reuse is the way forward. Recycling is good, as long as we close the loop by creating demand for the products, but reuse and reducing is the key to success now because as well as the landfill problem, we have the issue or resources running out. @Mrs Green: Finite resources are an important aspect, Mrs Green. Another is the poor performance of the recycling effort. We are promoting better recycling with standardisation, on best practice. Mr Instone, DEFRA, prefers innovation to that which means he is doing nothing to promote better recycling except for waiting for someone to take the initiative, meanwhile inertia! That is why Reduce and Reuse are so vital. It is truly laughable the attitude of some. I hope that we’re moving towards a situation where the cost of disposing of all products in an environmentally sound manner is calculated and added to everything sold at the point of sale, and that it’s as easy as possible for things to find their way in to the correct recycling. There would be a strong incentive then for companies (particularly those who make short life, low cost, high environmental impact items aka disposable packaging) to produce more reusable, recyclable and environmentally sound products to make their items cost competitive. The cost of a product that results in useful materials leaving the cycle permanently should be representative of that. Also, taking responsibility for the items we consume when we’re finished with them is long overdue. They don’t just go away, they cost the environment, and when disposed of in landfills or incineration result in what was once useful raw materials good as vanishing. Reusing items (for example refills), and where not possible capturing the materials they’re made from for recycling is the only way we can avoid eventually becoming a world with serious resource shortages, a reality that is much closer than many people expect. We need to acknowledge that the resources we have are all we’re going to have. Planning ahead to reuse and recycle costs money up front, but cheaper goods now aren’t good for us at all if they’re cheap because we’re skimping on their disposal, because if we don’t close the loop on our resources cycle and plug the various black holes that we’re emptying vast amounts of once valuable materials in to, we’re simply playing buy now pay later. If we convert all the resources in to polystyrene coffee cups and other single use items that have no secondary use or recycling potential, or incinerate and send it up a chimney as pollution for the absurd reason of making these processed resources just ‘vanish’, then we’ll one day wish we had planned ahead rather than gorged on the resources so carelessly when they were seemingly abundant. 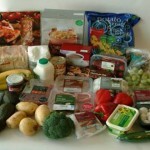 I’m very happy to add a recycling/reuse premium to the goods we consume if it means we’ll have them now *and* tomorrow. Some will say it’s an eco-tax, but I think it’s just sensible resource budgeting. However, I think we can do it for little or no long term cost. Make things last longer and reusable, then despite higher costs we’ll incur them far less frequently. We might not end up spending more on average as some things will have net savings, but even if it does cost, being able to keep consuming the things we need is a major selling point and something worth investing in now. @Ben: Hi Ben, I love your thinking in the first paragraph. An addition to your idea is that waste must be seen as a valuable resource – wouldn’t that be awesome? A simple, tiny step is the return of deposits on items, such as the lemonade bottles of my childhood. The goods you talk of include cheap plastic toys, designed to deliver nothing but instant gratification, swiftly followed by disappointment, sweatshop clothes that even charity shops cannot sell and the usual ‘scruples’ dilemma of whether to spend more money repairing an item (an inkjet printer or mobile phone are classic examples) or less on replacing it. Such built in obsolescence has to be cracked down on and I agree with your ideas about bringing back quality goods packaged resourcefully. « Stop junk mail with junk buster – Your choice! Or is it?